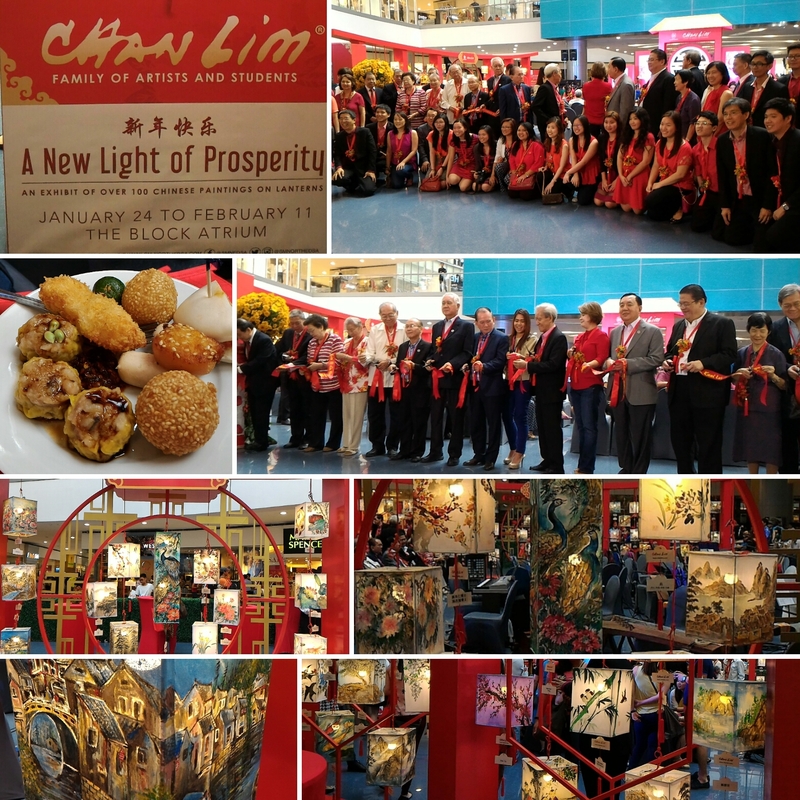 SM City North EDSA proudly unveiled over 100 hand-painted lanterns by the notable Chan Lim Family of artists and students with their exhibition dubbed as "A New Light of Prosperity" which runs from January 24 to February 11, 2016 at The Atrium in The Block building. Lanterns are known as traditional decoration for the Chinese arts & culture and are being widely used in important grand celebrations. 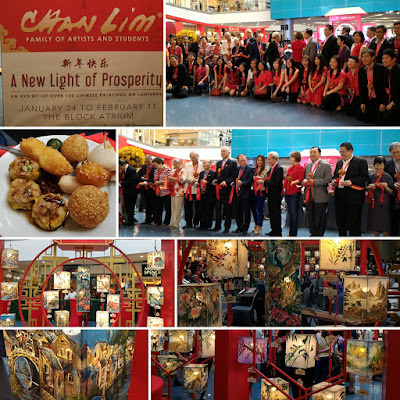 The mall presents a beautiful collection and arrangement of hand-painted lanterns to kick off the Chinese New Year festivity. Bloggers were treated to have a taste of basic Chinese painting. I'm an abstract artist and a calligrapher (Western and Chinese) myself but this is the first time I've experienced how to do Chinese painting. I had so much fun but time wasn't enough to really practice the brush strokes that this art requires. SM City North EDSA's Chinese New Year celebration continues with other exciting activities such as Chinese musical performances, oriental market, astrological readings and dragon dance. An array of Chinese products and delicacies are being sold. Know your fortune and good year by international Feng Shui master, Marites Allen. Chinese goodies for the first 100 customers to answer the trivia questions. An exhibition of Wushu, a traditional Chinese martial arts. Learn the art of Chinese calligraphy. Traditional Chinese dance to bring good fortune the whole year round. The Chan Lim brothers are graced with a unique combination of artistic talent and engineering aptitude. In the past four decades, the Chan Lim have been actively involved in the arts. Professionally, each of the Chan Lim brothers was able to carve a niche for themselves, holding key positions in multi-national companies. Currently, there are already three generations of the Chan Lim family actively involved in the arts. 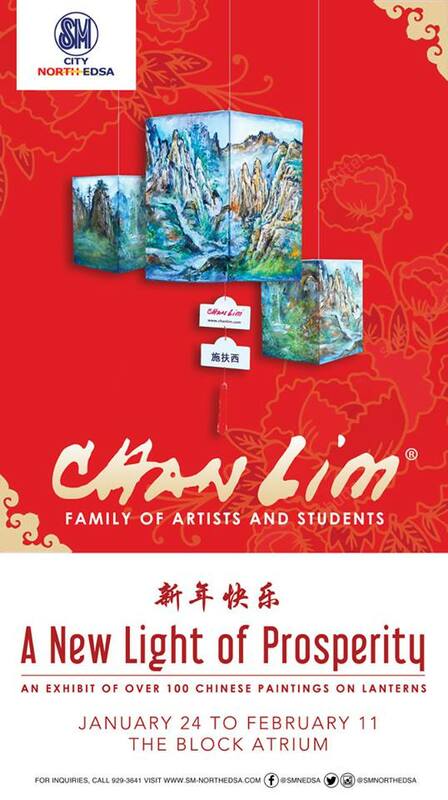 The revered family patriarch, Chan Lim, focuses on Western art, specializing in Oil and Watercolor. His artwork is characterized by a delicate fusion of Western and Eastern techniques on various media. The Chan Lim brothers Alex, Felix, Rolex and Jolex largely produce Chinese Brush paintings. Landscape, flora, and fauna are the predominant subject matter of the brothers’ artworks. The 3rd generation Chan Lims follows in the footsteps of both the family patriarch and their fathers in nurturing their artistic talents. Bound by their passion for the arts, the Chan Lims have conducted numerous art workshops, seminars, and on-the-spot painting demonstrations. Members of the family have joined several art exhibits locally and internationally. To date, the Chan Lims have launched 11 family painting exhibits. The Chan Lim family is one of the few remaining notable Chinese brush painting artists in the Philippines today. Their paintings can be found in private collections here and abroad. Art classes are conducted in the family's studio/gallery located in Pasig City. You can email them at chanlim@yahoo.com.